A simple will is another name for a basic will that leaves instructions for distributing property in a straightforward manner, and does not deal with complicated investments, trusts or other situations. A simple will may be appropriate if you have no minor children and few assets which you expect to leave to only a few people. Wills are sometimes used in conjunction with trusts for various reasons, including a desire to see your beneficiaries receive your property without prolonged visits to the probate court. Two types of wills that work with trusts are a testamentary trust will and a pour-over will. A testamentary trust will creates a trust upon your death, then moves some or all of your estate into the trust. Meanwhile, a pour-over will works with a trust you created before your death. The pour-over will ensures that anything you did not put in the trust's name before your death enters the trust when you die. A holographic will, also known as an olographic will, is a will that is written mostly or entirely in your own handwriting. In some states, a holographic will is valid even if it was not witnessed, as long as the testator signed it, wrote the date, and wrote material portions, such as the name of the executor and who was to receive which property, in his own handwriting. An attorney who practices estate law in your state can tell you whether a holographic will is valid in your state and help you make one. An oral will is also known as a nuncupative will. Unlike most wills, an oral will is spoken to one or more witnesses before the testator's death, instead of written. Not all states recognize oral wills. The states that do recognize them usually require that the will be made on the testator's deathbed, that one of the witnesses write the will down after the testator's death, and that the will can distribute only a small amount of property. 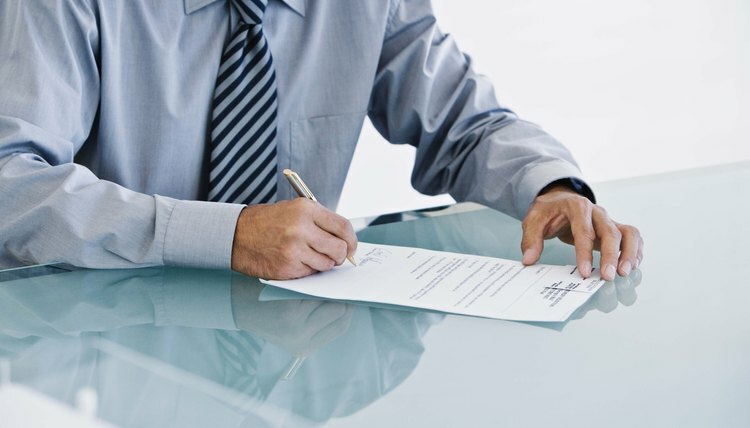 Since you may not have time or the ability in a life-threatening situation to make an oral will, it is best to use a written will format even if your state allows nuncupative wills. How Many Different Types of Legal Wills Exist?